Unique USB Flash Drive Astrological Sign - Leo. 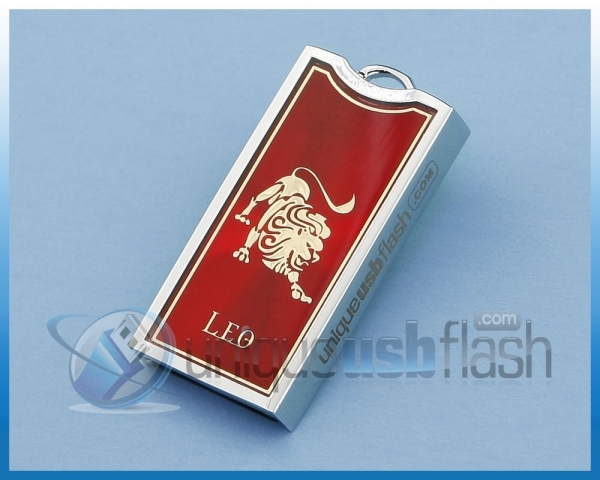 Unique USB Flash Drive in a micro case with your astrological sign (Leo). This will make a great gift. We have many other styles to choose from. We use Tier 1 chips for quality and reliability. Please contact us if you have any questions and dont forget to ask us how we can help with your fund-raising. All our Flash Drives are full capacity and are tested prior to shipping. Our Unique Flash Drives come with an unconditional Money Back Guarantee. See our return policy for more details. We will gladly customize any of our products with your logo. Minimum order quantity applies. Please contact us for details. Unique USB Flash Drive in a micro case with your astrological sign (Capricorn). This will make a nice gift. We have many other styles to choose from. Unique USB Flash Drive in a micro case with your astrological sign (Cancer). This will make a nice gift. We have many other styles to choose from. Unique USB Flash Drive in a micro case with your astrological sign (Scorpio). This will make a nice gift. We have many other styles to choose from. Unique USB Flash Drive in the shape of a bird pendant watch. We have several different colors and capacity to choose from. Unique USB Flash Drive in the shape of a watch pendant. We have several different colors and capacity to choose from. Unique USB Flash Drive in the shape of a Key with Honda Logo. This is a clever way to make sure you always have your Flash Drive handy when you need it. We have many different styles and capacity to choose from. This Unique Executive USB Flash Drive is a quality pen with a removable Flash Drive. This unique combination makes a perfect gift.